Always wanted to sail on a Tall Ship but not keen on the rolling swell? Here's your chance to sail on an inland waterway and celebrate Australia Day a little bit differently. The cruise will give you a chance to see what it was like for the early sailors to navigate the bends of the Brisbane River. Dressed in period clothing to set the scene, the crew will ‘press gang’ guests to help sail the 100 foot gaff-rigged schooner. Those after a more relaxing day can sit back and enjoy the city view as you nibble and sip on your BYO treats. 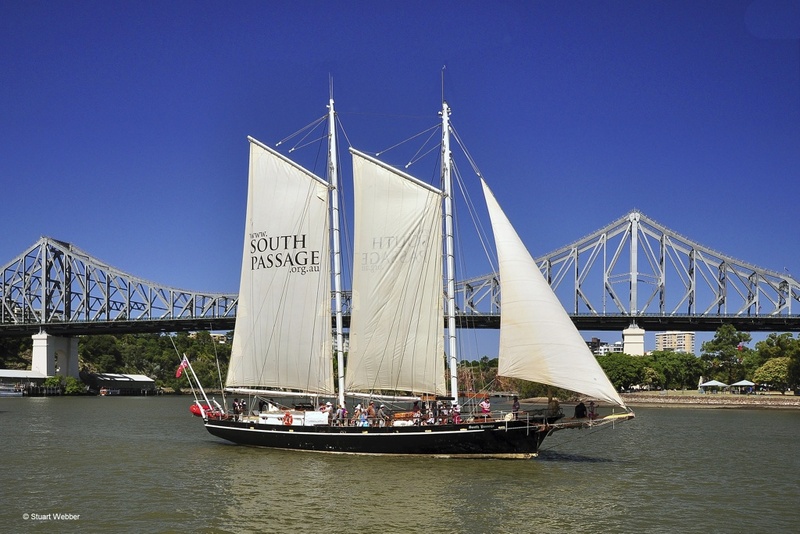 The 100 foot long, gaff-rigged schooner is a working ship, meaning that you can take part in sailing the vessel. There is no sailing experience required with South Passage’s crew on hand to help "show you the ropes". All you need to bring is some sun protection, a picnic and liquid refreshments. No glasses or smoking please.